The National Wedding Show is a great one stop shop for future brides & grooms to get inspiration and organise their big day. 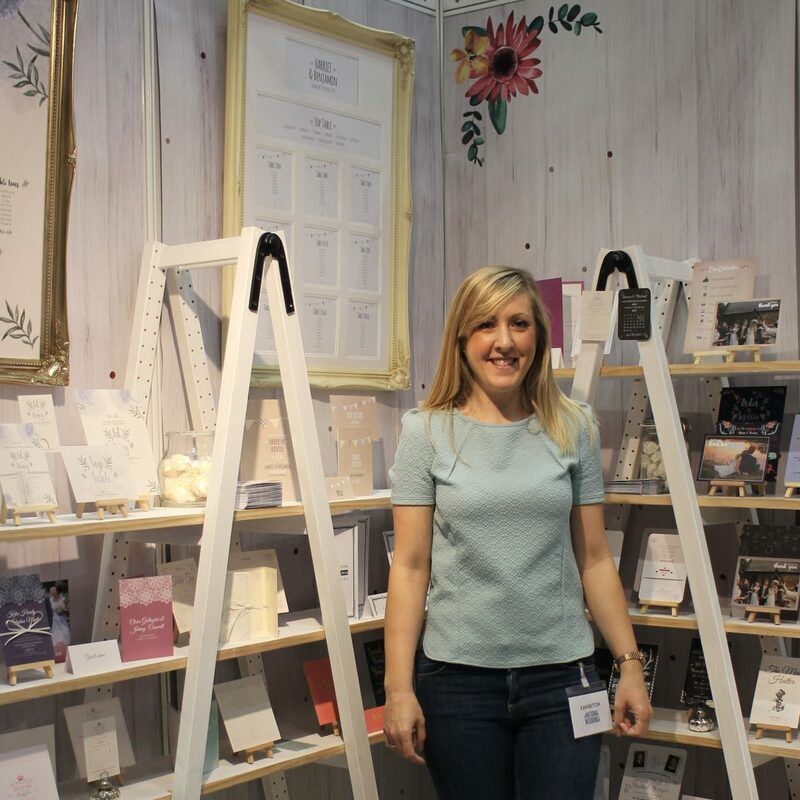 In October this year, we headed over to the Manchester exhibition and set up our stand where we were able to chat to lots of lovely couples, families and friends and showcased our new collections. 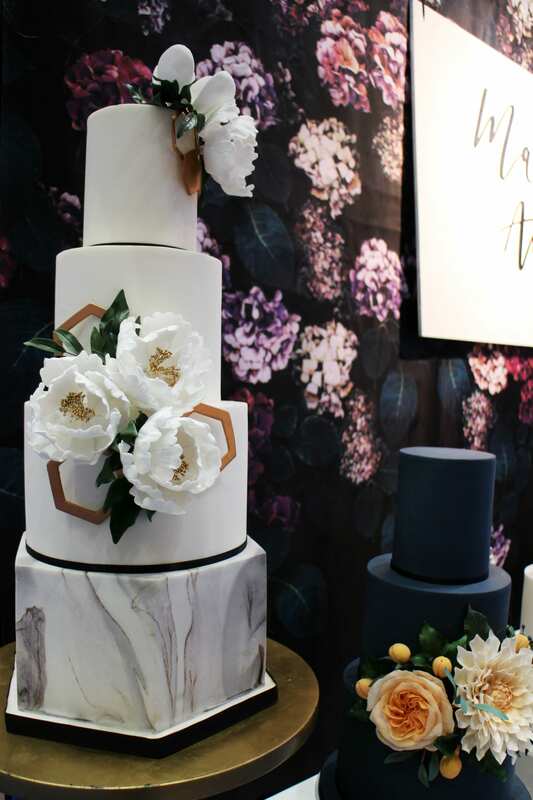 The Wedding Show fell in line with the launch of our brand new website and new designs which means it was a very busy but exciting time for us. 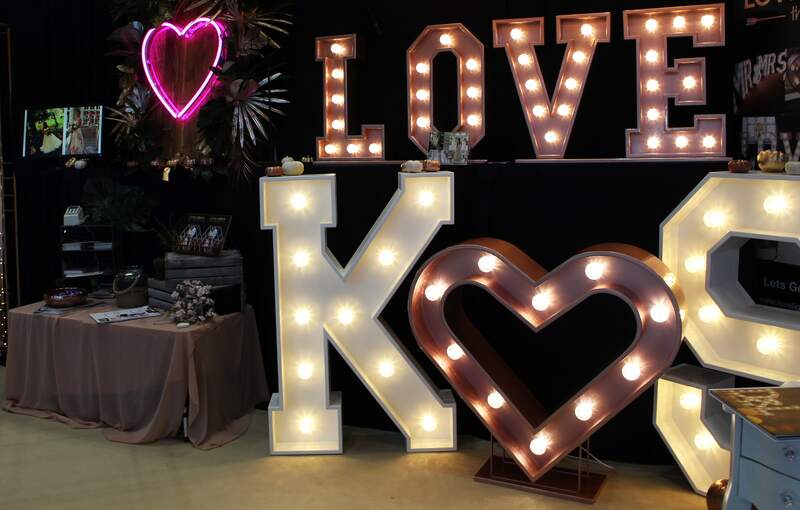 Love Lights the Way are specialists in providing beautifully crafted light up letters adding that special, unique touch to your special day. 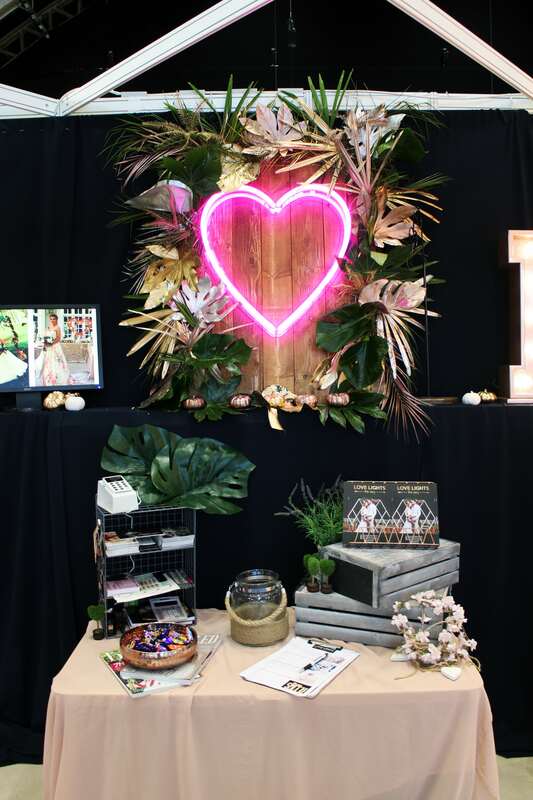 We loved all the letters on display on their stand – especially the LOVE sign! What a great backdrop idea for your wedding photos. 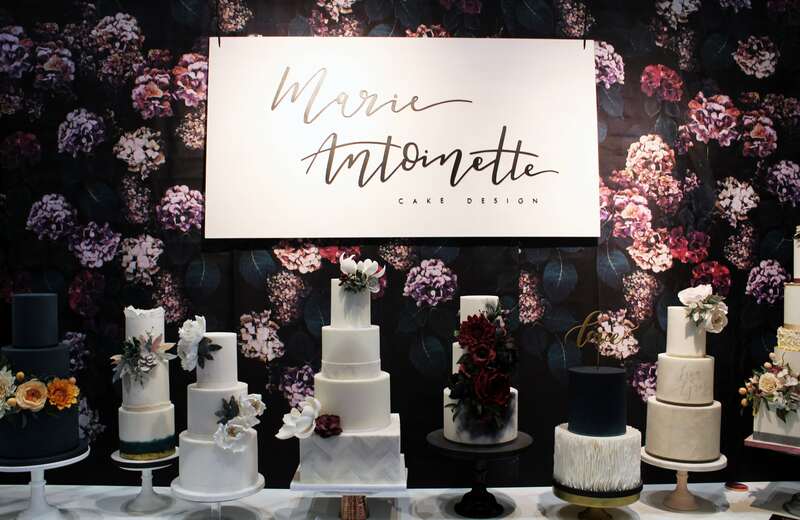 Marie Antoinette are creators of beautifully designed, contemporary wedding cakes which are sure to add the ‘wow’ factor to your big day. Each cake is made by hand and is perfectly finished which is why we can’t rave about them enough (and they taste great too!) 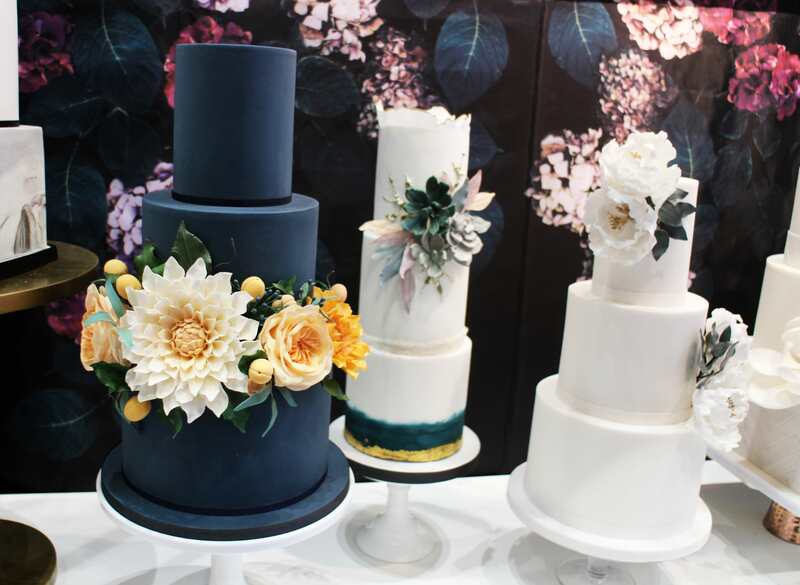 Our favourite of the day has to be the Navy tiered cake with striking flower detail! Jacqui offers a personal photography service which is an amazing addition to your wedding day. 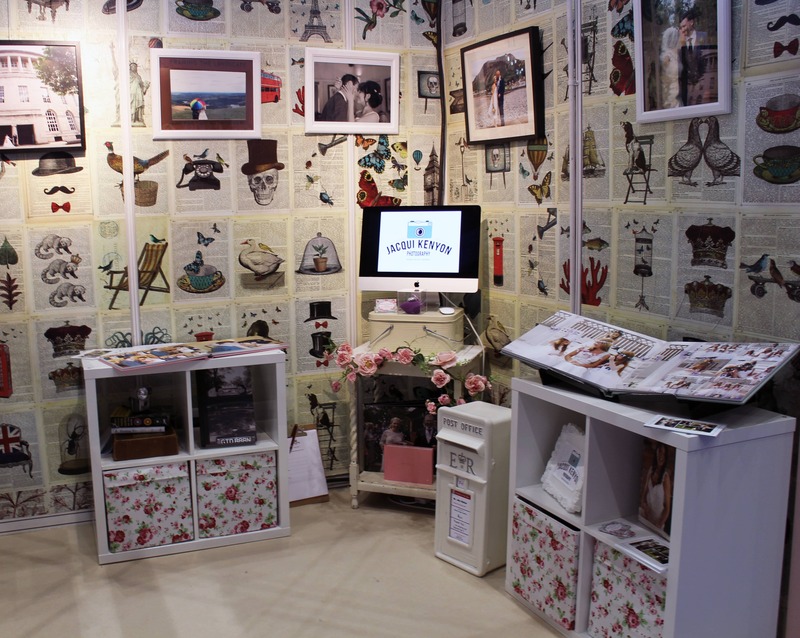 We love Jacqui’s style of photography, especially those shown hanging on the walls of her retro style stand! She also offers a Photo Booth package – what’s not to love! 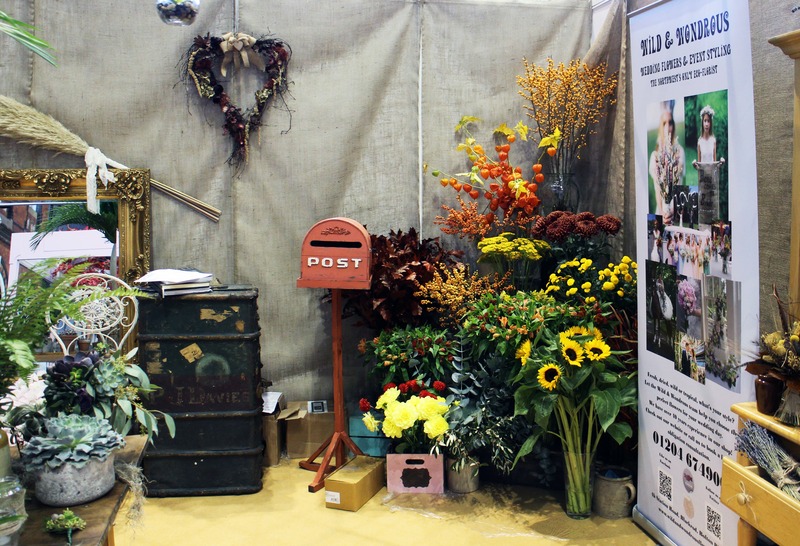 Wild & Wondrous’ stand was the perfect mix of colour and greenery and full of inspiration for your wedding day flowers. They offer something a little different and alternative to your classic bouquet and even better, offer a sustainable approach. 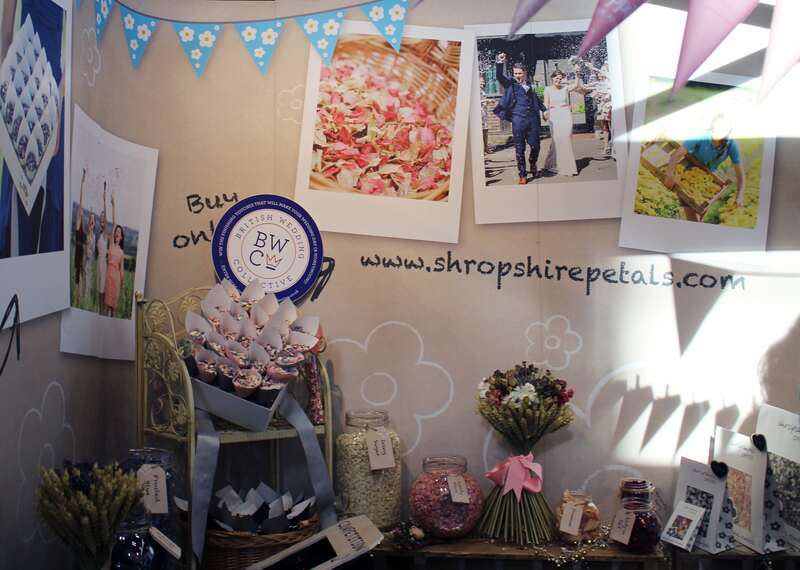 Shropshire petals offer natural petal confetti which is a great option for your wedding day. 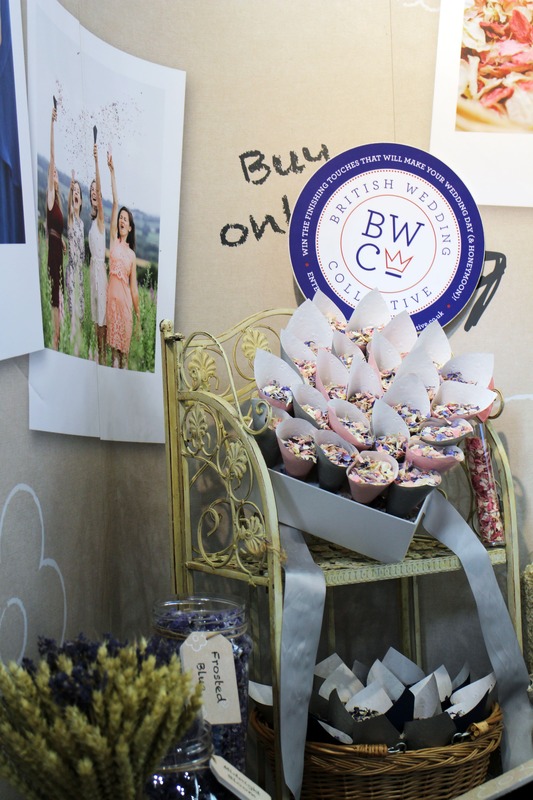 Their stand showcased their beautifully arranged confetti packages and gave attendees lots of options on their confetti choices. Next post: It’s Competition Time!